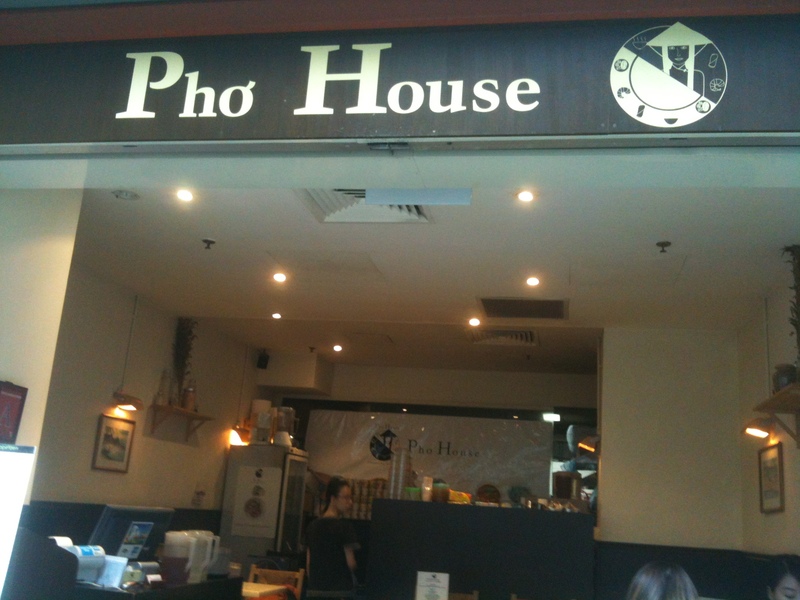 Had Vietnamese noodles with colleagues for a change! We ordered the set meal @ $14 (appetizer, main and drink). 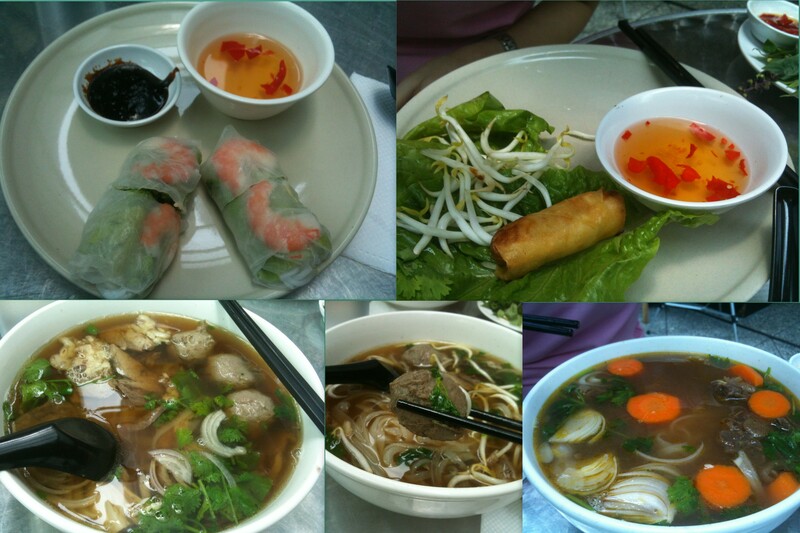 Clockwise: Prawn rice roll (goi cuon), Egg roll, Beef Stew noodles and Beef noodles (Pho bo). The portions are damn big! All 3 of us can’t finish it! My colleague complained that the beef too QQ lol! 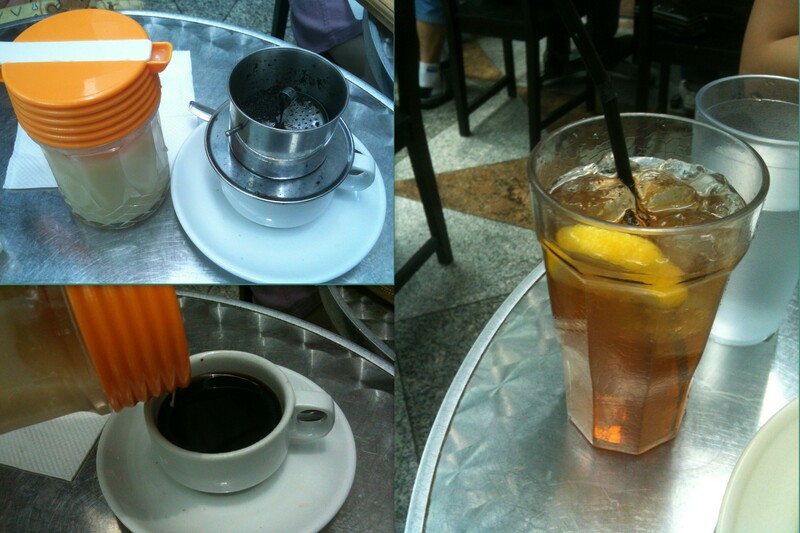 Ice-lemon tea and Vietnamese drip coffee!